When it’s time for you to retire, will you be able to afford it? Almost all of the research conducted on the subject, over the last few years, shows that most individuals are unable to demonstrate financial readiness for their retirement years. 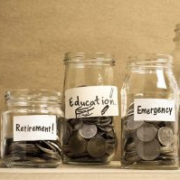 This only serves to underline the fact that saving for retirement is a challenging process that requires careful planning and follow-through. Here we review some helpful tips that should help you on your way to a comfortable retirement. It is obvious that it is better to start saving at an early age, but it is never too late to start – even if you are already close to your retirement years – because every penny saved helps to cover your expenses. If you save $200 every month for 40 years at a 5% interest rate, you will have saved significantly more than an individual who saves at the same rate for 10 years. However, the amount saved over the shorter period can go a long way in helping to cover expenses during retirement. Also, keep in mind that other areas of financial planning, such as asset allocation, will become increasingly important as you get closer to retirement. This is because your risk tolerance generally decreases as the number of years in which you can recuperate any losses goes down. Alternatively (or in addition), you may have your salary direct-deposited to a checking or savings account, and have the designated savings amount scheduled for automatic debit to be credited to a retirement savings account on the same day the salary is credited. Contributing amounts earmarked for your retirement to superannuation or a tax-deferred retirement account deters you from spending those amounts on impulse, because you are likely to face tax consequences and penalties. Your age – This is usually reflected in the aggressiveness of your portfolio, which will likely take more risks when you’re younger, and less the closer you get to retirement age. Your risk tolerance – This helps to ensure that, should any losses occur, they occur at a time when the losses can still be recuperated. Whether you need to have your assets grow or produce income. When planning for retirement, some of us make the mistake of not considering expenses for medical and dental costs, long-term care and income taxes. When deciding how much you need to save for retirement, make a list of all the expenses you may incur during your retirement years. This will help you to make realistic projections and plan accordingly. Saving a lot of money is great, but the benefits are eroded or even nullified if it means you have to use high-interest loans to pay your living expenses. Therefore, preparing and working within a budget is essential. Your retirement savings should be counted among your budgeted recurring expenses in order to ensure that your disposable income is calculated accurately. As you get closer to retirement and your financial needs, expenses and risk tolerance change, strategic asset allocation must be performed on your portfolio to allow for any necessary adjustments. This will help you ensure that your retirement planning is on target. If your lifestyle, income and/or fiscal responsibilities have changed, it may be a good idea to reassess your financial profile and make adjustments where possible, so as to change the amounts you add to your retirement nest egg. For instance, you may have finished paying off your mortgage or the loan for your car, or the number of individuals for which you are financially responsible may have changed. A reassessment of your income, expenses and financial obligations will help to determine if you need to increase or decrease the amount you save on a regular basis. If you are married, consider whether your spouse is also saving and whether certain expenses can be shared during your retirement years. If your spouse hasn’t been saving, you need to determine whether your retirement savings can cover not only your expenses, but those of your spouse as well. Unless you are experienced in the field of financial planning and portfolio management, engaging the services of an experienced and qualified financial planner will be necessary. Choosing the one who is right for you will be one of the most important decisions you make. What we’ve discussed here are just a few of the factors that may affect the success of your retirement plan and determine whether you enjoy a financially secure retirement. This advice is of a general nature and should be discussed with a qualified financial planner. Your financial planner will help you to determine whether you should consider other factors. Asking how long it takes to get a loan approved is like asking how long a piece of string is. Every application is unique, so the time between your first contact with your bank or broker and approval can never be predetermined. There are, however, some things you can do to help hurry your application along. 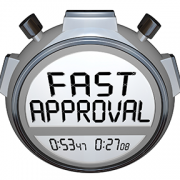 Although very rare, same-day loan approvals are possible depending on the lender’s criteria, the complexity of the deal and turnaround time. If you’re not prepared, it could take up to a month. The most common reason for a delay is a lender’s turnaround time to assessment, especially when some lenders have competitive offerings and experience larger application volumes, but a lack of preparation can cause this delay to snowball. Whilst a finance broker will help you take all the necessary steps to ensure a fast home loan approval, there are simple ways you can help hurry the process along before your first meeting with your broker. To avoid back and forth requests, which can delay your application, ensure your lender has a thorough understanding of you as an applicant including appropriate identification of all borrowers. Provide all the supporting and necessary documents upfront to your broker, and convey as much detail as possible in relation to your requirements and objectives and have good, current information on your financial position. The broker will need to not only have your full financial details but will also need to take reasonable steps to verify it. Not all applications require a valuation, depending on the property and lending institution, and forgoing this step can save a considerable amount of time. You can also save time by having a valuation completed prior to your application, as long as it’s accepted by your chosen lender – but check with your broker first. To ensure your application avoids any unnecessary delays, give us a call to discuss your requirements and objectives. Loan terms are often between six and 12 months. 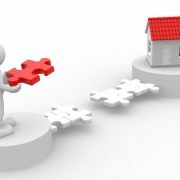 Bridging loans do not always have a higher interest rate than traditional home loans. Some lenders may even allow the interest to be capitalised. This can be a great option but carries some risk. It’s important to know that you will be able to make the repayments even in a worst-case scenario where your old house doesn’t sell as quickly as you’d hoped or where property values may change unexpectedly. This can be a relatively cheap method of initiating the purchase of a property usually without the need to liquidate your other assets. The cost of a bond can vary depending on transaction complexity and the term being sought. In a simple transaction, it is likely to be approximately 1.3% of the amount of the deposit. For example, for a deposit guarantee to the value of 10% of a property price for an individual purchasing an established property in NSW and repaying that guarantee within 6 months on a $50k deposit for a property purchase of $500k, the fee will be about $650. If the purchaser fails to complete the purchase of the property, the vendor can present the deposit bond to the insurer who will provide them the entire value of the deposit bond. 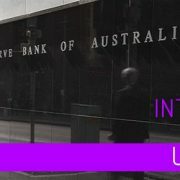 The Reserve Bank of Australia has left official interest rates on hold as expected after its monthly board meeting. RBA Governor Philip Lowe said the central bank decided to leave the cash rate unchanged at a record low 1.5 per cent. The decision to leave rates unchanged for a 13th consecutive meeting was widely expected by financial markets. A Bloomberg survey showed all of the economists polled expected rates to remain on hold for the rest of the year. However, market pricing has a hike of 25 basis points priced in as a near certainty within the next 12 months. Recent economic data in Australia has been mixed, with strong employment data offsetting disappointing retail sales and lacklustre economic growth. Strong growth in full-time employment this year and upbeat comments from Governor Lowe have economists tipping a greater chance of hikes than cuts. In recent weeks, ANZ and NAB have predicted two rate hikes next year, while JPMorgan abandoned its earlier predictions of two more cuts. The RBA has continued to hold rates steady despite interest rate hikes from the US Federal Reserve and the Bank of Canada this year. It also comes after the Australian dollar hit a two-year high of US81.25 cents last month. Joint bank accounts – Should you open one? When a couple gets married or has been in a relationship for several years, it is common to operate out of a joint bank account. So, is this beneficial? Is this the right way to go about things? Is it offensive to tell your partner that you would prefer to keep your accounts separate? A significant portion of relationship breakdowns can be directly related to disagreements about money and spending habits. In fact, day-to-day arguments about finances between couples are more common than it needs to be. Is A Joint Bank Account a Good Idea? This purely depends on your situation. If you have a boyfriend or girlfriend, having a joint bank account is not always a good idea; particularly if you don’t have too many shared expenses. However, if you live together and/or have children together, then a joint bank account may be a good idea. If you are married, there is a high likelihood that you will share many expenses. Generally, a high level of shared expenses will often give more cause to having a joint account – purely from a simplified financial perspective. Also, once you are married, all assets, regardless of who ‘owns’ them or whose name they are in, are generally considered ‘marital assets’ and by law will be effectively owned by both of you anyway. In saying this, the most important thing to consider when determining if it’s better to have a joint bank account is that you and your partner are on the same page financially. Do you share similar spending habits on a daily basis? Do you have the same respect for money as each other? Have you spoken about the things that you would like to save towards? Is it possible one of you will spend more than the other and create tension in the relationship? http://brickhill.com.au/wp-content/uploads/2017/10/bank-accounts.png 515 546 admin http://brickhill.com.au/wp-content/uploads/2017/03/brickhill-340-x-156.png admin2017-10-02 13:55:282017-10-03 20:58:39Joint bank accounts - Should you open one?